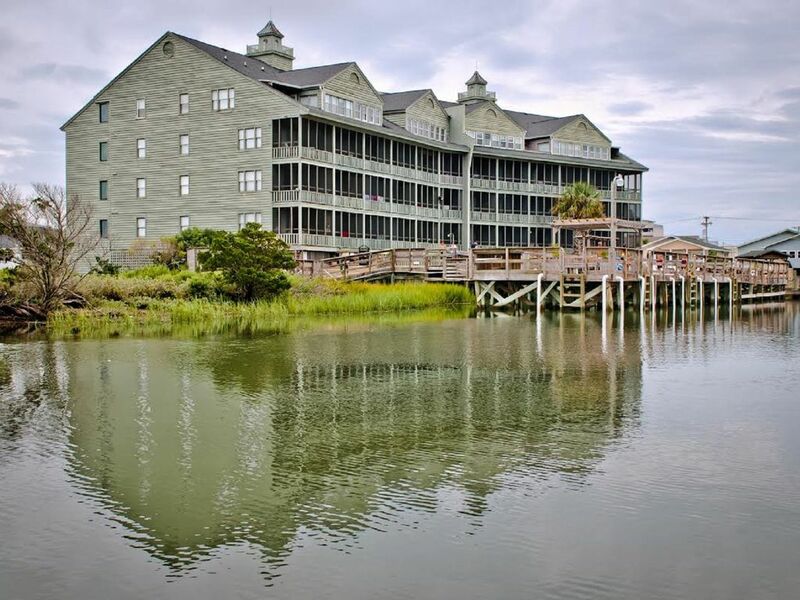 Sea Watch Inn at the Landing at Murrell's Inlet, South Carolina. 'Best Kept Secret'. This is the view of beautiful Murrell's Inlet from the screened-in balcony of this two-bedroom condo. Swackhammer ph no 4128498863. FAMILIES OR GROUPS OVER THE AGE OF 25 ONLY NEED APPLY. Our unit has a fully equipped kitchen with dishwasher, living room, wall-to-wall carpet and laminate flooring as well as central air and free wifi. This complex is only one block from the beach in Garden City Beach. Boat dock and ramp available. Restaurants, shops and arcade nearby. Amenities: Screened Porch, Grill, Pool, Dishwasher, Microwave, Dishes/Utensils, Washer/Dryer, Completely Furnished, Linens, TV Cable, free WIFI Jacuzzi. The first-floor unit is handicapped-friendly. Sorry, No Pets and No Smoking.